small and medium-sized enterprises (SMEs) and social entrepreneurship as well as to turn it into a major provider of commercial and marketing skills. The memorandum will be officially signed on 31 May (Thursday) 2018 at 10:45 am in the Conference Hall of Varna Free University (Educational building, 2 floor). A free talk of the representatives of the media with the President of Varna Free University Prof. Anna Nedyalkova, D.Sc., the founder of the InterCulture Foundation Larry Biehl and the head of the Bulgarian Entrepreneurship Centre Lili Drumeva is scheduled for 11:10 in the office of the President of VFU. Together with the financier Larry Biehl are coming to Varna Free Universityalso, Joanne Bond– certified business leadership coach, Trish Kalbas-Schmidt lecturer at the University of Santa Clara, California and Director of the MOBI programme (My Own Business Initiative), Anton Tonev - Certified Financial Analyst (CFA), Lili Drumeva - Head of the Bulgarian Entrepreneurship Centre (BEC) and Delyan Popov - Manager of Educational Programme Manager at Bulgarian Entrepreneurship Centre. At 11:15 in Hall 3 of the Educational and Sports Complex a meeting of the American guests with students, lecturers and business representatives starts. The MOBI (My Own Business Initiative) programme, as well as the new master's degree programme in entrepreneurship at Varna Free University, will be presented. 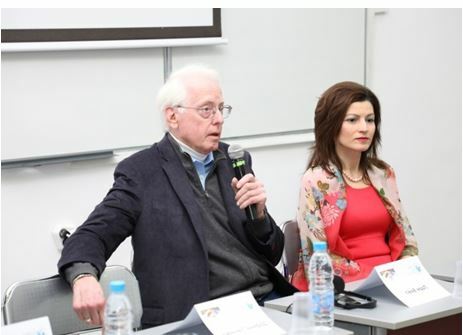 The partnership between the foundation of Larry Biehl and Varna Free University dates back to last year when mentors from Silicon Valley visited the university, talked about creativity, innovation and entrepreneurship and told about what is "to dare to be great," how important teamwork is and how dreams come true. I am here because I want to build a bridge between Silicon Valley and Bulgaria, Larry Biehl was definite at his first visit at VFU. Today, the next step in building this bridge is already a fact with the signing of a tripartite agreement on understanding and cooperation. Larry Biehl is a financial advisor and investment manager with more than 50 years of professional experience who has worked with Silicon Valley technology companies. He also did asset management, personal finance management of technology entrepreneurs, branding and marketing of nonprofit companies and non-governmental organizations. He is the author of a textbook on finance and has publications in prestigious economic editions. He has lectured at many universities on the subject of financial management.He argued that "People should be remembered about how they spent their money, not how they earned it, how they turned their wealth into importance, and how their success had contributed to something important and good to society". Larry has graduated from Stanford University with English Literature and is a Master of Finance. He is interested in country music and the culture of the ancient Native American population. He is the founder of the InterCulture Foundation. Larry loves Bulgaria and has visited our country six times over the last 4 years, bringing with him a group of interesting mentors from different areas.At his initiative in March 2018 a branch of his foundation called Bulgarian Entrepreneurship Centre was established in Bulgaria. Larry's goal for the upcoming visit is to promote a new MOBI training programme at Santa Clara University, as well as to present interesting, successful people to motivate and encourage entrepreneurship in Bulgaria. Joanne Bondis a certified business leadership coach, with more than 30 years of professional experience. She works with startup companies which create teams and helps for the professional growth of their leaders. She also deals with female entrepreneurs who want to change their lifestyle and start a new career. She focuses on emotional intelligence, self-management and self-awareness. Joanne Bondhas worked for the California Health Insurance Fund, where she trained doctors and administrative staff. 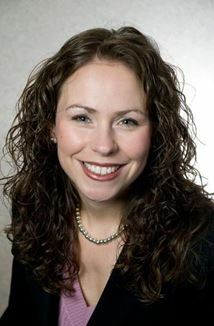 Her focus is specifically on the challenges of women in business and women's organizations. She has a master's degree in Communication Disorders. 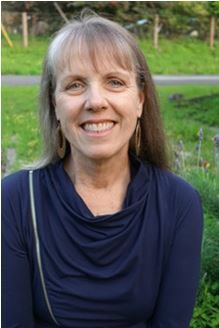 She graduated from the prestigious Hudson Institute of Coaching in Santa Barbara. Joan is a keen athlete and is actively engaged in sporty walking. She is in Bulgaria to motivate and inspire young entrepreneurs on their way to success, to develop the skills of enterprising, ambitious people with an emphasis on working women. Anton Tonev is one of the good examples of successful Bulgarians in the financial world. Although he is very young, he has professional experience at the prestigious Morgan Stanley Investment Bank, where he is involved in financial engineering and analysis of credit instruments. 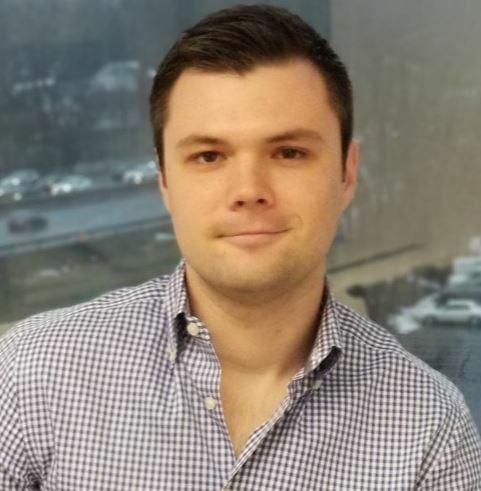 He has experience in the field of quantitative analysis and algorithms for portfolio optimization as well as in trading and securities management. Currently, he works at AQR Capital Management, one of the world's largest asset managers. Anton is CFA (Certified Financial Analyst). He has graduated in Financial Engineering at Cornell University, as well as the American University in Bulgaria (AUBG) with specialties of Mathematics and Economics. Anton is in Bulgaria to motivate and help young, enterprising people to realize their goals and achieve success. Dear colleagues and partners of Varna Free University, in connection with the General Data Protection Regulation (GDPR), which came into force on 25 May, we inform you that photo and video shooting will take place during the events.